The sewer camera combines camera and monitor. You get a large 7" LCD color monitor protected by a padded case. It's mounted on a rugged yet flexible gooseneck that swivels to give you the best viewing angle, wherever you're working. 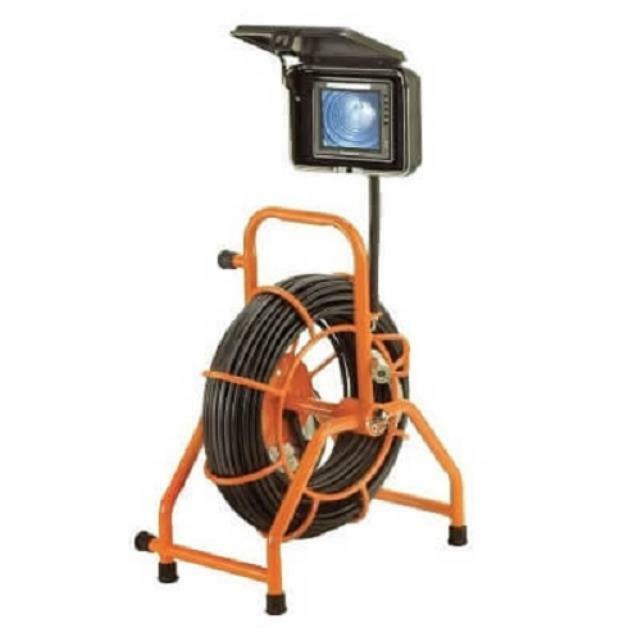 It features a self-leveling camera and 125 ft. of Gel-Rod for troubleshooting 2" to 4" drain lines. The tough steel frame can be operated vertically or horizontally, so you can handle nearly any application. A video out connection lets you record on an external device. Click here for the General Mini Pod operator's manual.